Well here you have it friends, another 'best of 2016'. As I type this up I am trying to come up with things that I did not like about this book and you know what? I couldn't come up with a single thing. Hopefully I won't gush too much or get your expectations so high that when (if) you read this book it won't invoke the same reaction - its happened to me before so I know the feeling about reading overly positive reviews. So where to begin? This book's targeted age is 10+ and it hits that perfectly, now I am well above that target and I enjoyed it immensely. Lou is a character, she is sassy, impulsive, caring, curious and a fighter. She wants excitement during her summer vacation so when prays are offered up for that exact thing she gets more than she bargained for. Now she doesn't just pray and that's it, she attends church with her friends to help the process along - no it isn't preachy in anyway here. But it does show her commitment and drive for 'excitement'. 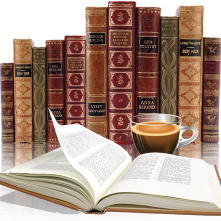 With each chapter opening with a snippet of diary entries dating back to the 1860's, penned by another Louise Mayhew, the author created a setting of mystery and intrigue. By connecting the past to the present with this old family home, it also showed that some of the prejudices from that old time period still exist today. Taking place in 1999, there are no cell phones or internet to aid in this group of friends mission. It was a refresh change to see kids being kids without all the techno devices. I loved the authors writing style, she was able to make me feel the wide range of emotions that Lou endured, to feel her passion in trying to save her home and motives. To see her grow and realize whats important and how she can make a difference, especially when things don't turn out the way you think they should. Lou's friends round out the story perfectly, each with their own character traits and I gotta say I loved Bertie, Lou's grandmother, she added so much sparkle to this story, reminding me of Maggie Smith (Downton Abbey). 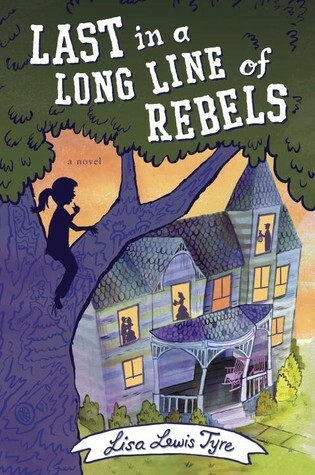 The cover of Last In a Long Line of Rebels fits this story perfectly. A solid debut, definitely an author I highly recommend and I look forward to seeing what she comes up with next. Thank you to TLC Tours for inviting me to be part of this tour. 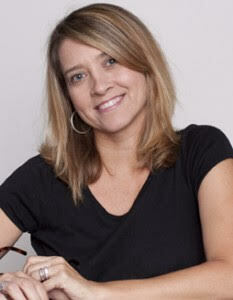 About Lisa Lewis Tyre: I grew up in a small town in Tennessee surrounded by my crazy family and neighbors. I learned early on that not every child had a pet skunk, a dad that ran a bar in the front yard, or a neighbor that was so large his house had to be torn down to get him out. What else could I do but write? I’ve wanted to write for as long as I can remember. I think this is because I come from a long line of storytellers. I loved listening to my dad tell me about the escapades of his youth, like how he “accidentally” pushed his brother out of a two-story window, and “accidentally” shot his aunt’s chicken with a bow and arrow. Apparently he was accident-prone. I already wanted to read this book but after your review I really REALLY want to read it! Thanks for being a part of the tour.